First location opened in the Westboro neighbourhood of Ottawa and was exactly what the city was waiting for. Pure Kitchen is proud to be a scratch kitchen where all menu items are made fresh using whole natural ingredients. After a year of overwhelming support from the people of Ottawa, a second location was opened on Elgin Street. 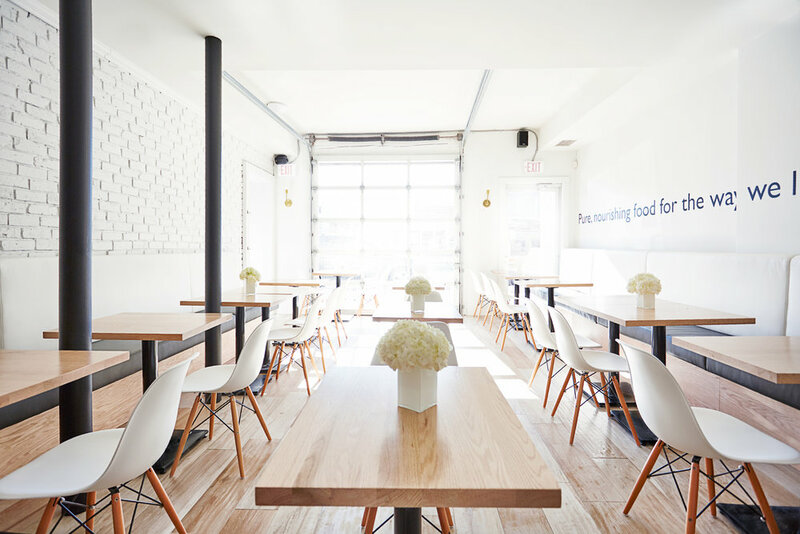 Both spaces were designed by Rnea Garrah with a minimalistic, clean and organic feel to enhance the Pure product.